Lately I've been all about the home accessories. Now I'm home with the baby a lot more, my nesting instinct has majorly kicked in and I am loving cooking, baking and making our home a beautiful place for my little family. 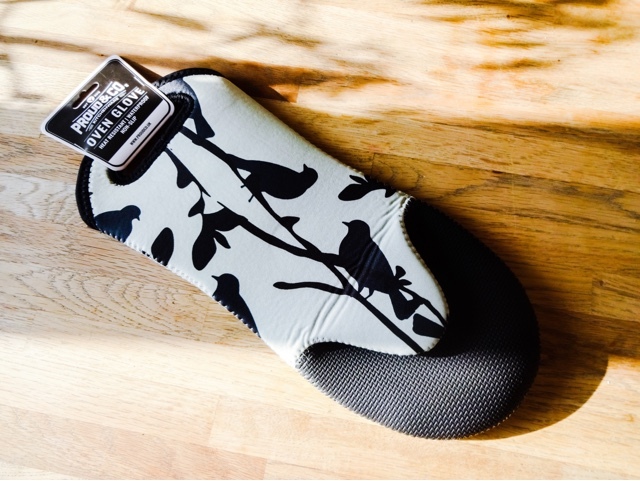 So I jumped at the chance to test this gorgeous Silhouette Oven Glove by Proud & Co.
You wouldn't think 'stylish' and 'oven glove' belonged in the same sentence as they seem to be a home accessory that's in constant use but gets a bit neglected from a design point of view. But now you can have your home baked cake and eat it, because Proud & Co have married great functionality with a gorgeous design. The mitt is made of neoprene material with a heat and slip resistant textured silicone coating on the palm side. You can wear it on either hand, so lefties don't need to worry. 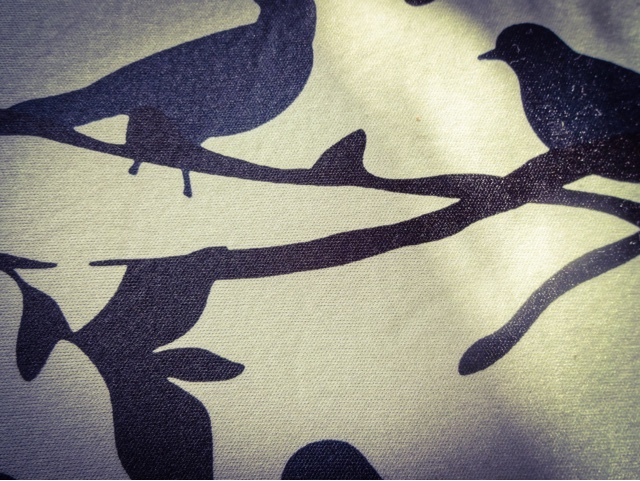 It's a beautiful spearmint colour with black detailing and a black print of birds sitting on branches. This is beautiful but not so feminine that it would put off boys who bake. 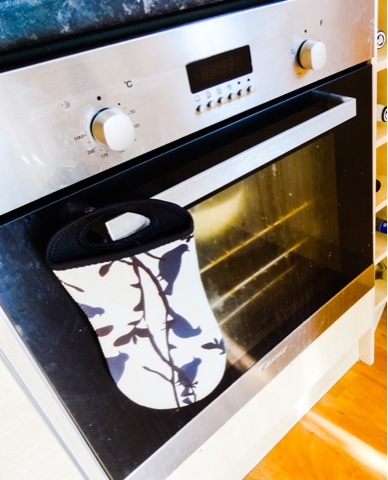 Despite its good looks, Proud & Co's oven glove is built to do a job and very functional. It's heat resistant up to 500c, so it's ideal for barbecues and indoor cooking. The textured grip gives a secure hold on glass or ceramic dishes and the material is very light and flexible, so there is a great ease of use. Best of all, for those messy cooks like me, this mitt is waterproof and can be chucked in the washing machine without losing its shape or grip. Want a huge upgrade on using a folders over tea towel like I was doing! It's safe, it's stylish and easy to use and would make a brilliant kitchen upgrade, stocking filler for a keen cook or a pretty housewarming gift.